It was extended by popular demand until August 8th. 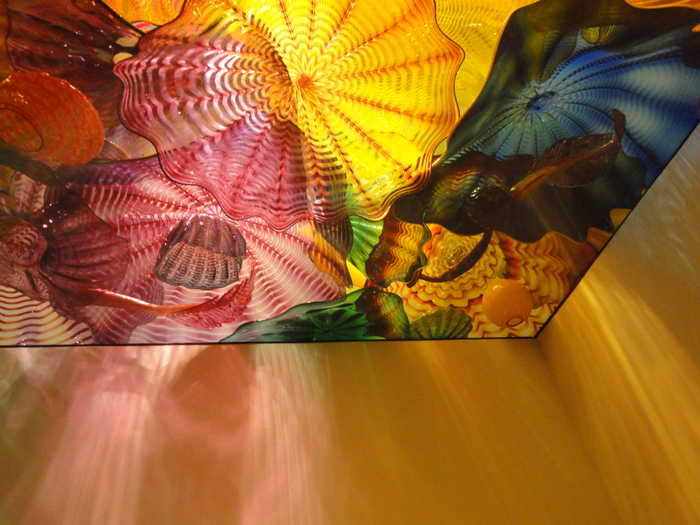 It's almost a shame to tempt you with these snapshots I took from this dazzling installation since it only has a week left to run! 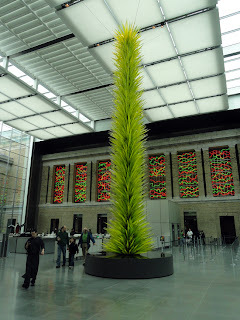 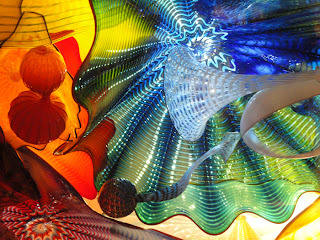 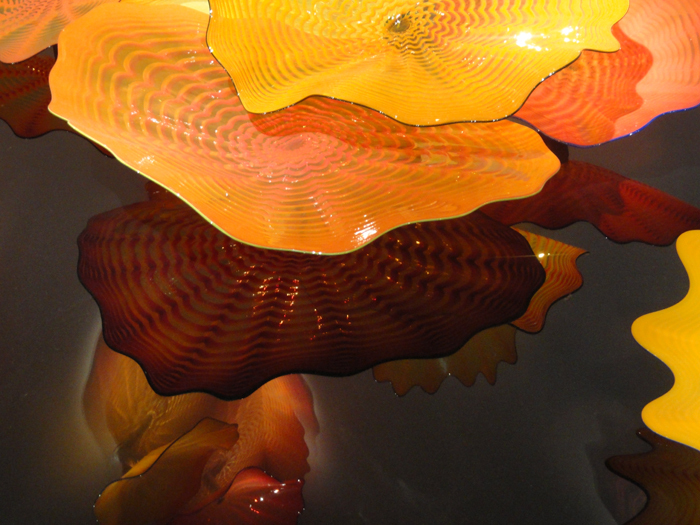 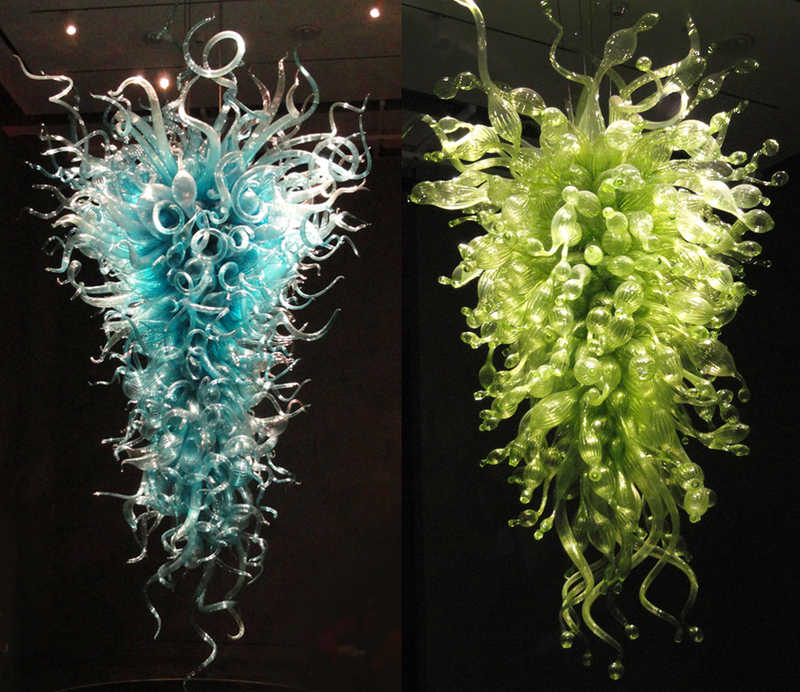 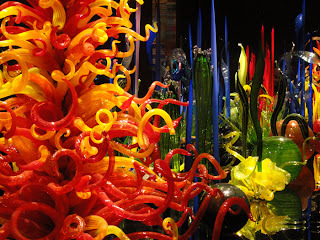 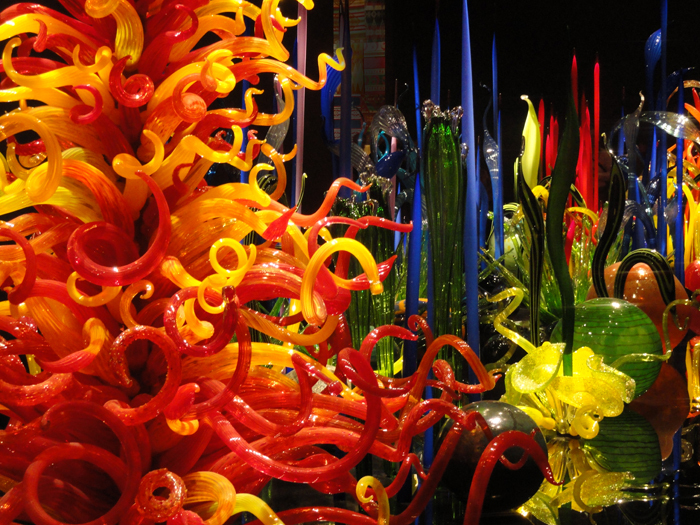 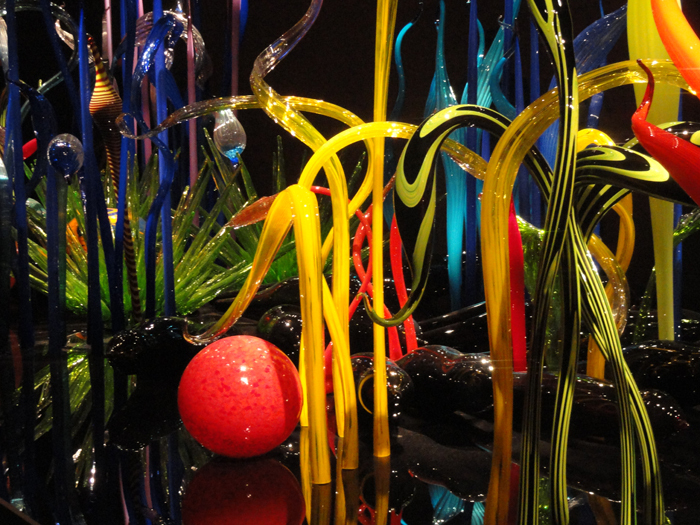 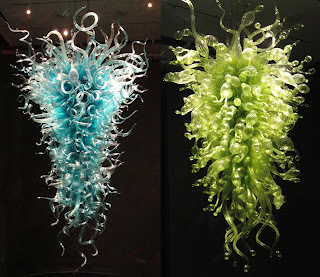 Some rooms featured the familiar Chihuly hanging works consisting of thousands of blown glass pieces massing to produce a single hued chandalier hanging from above. 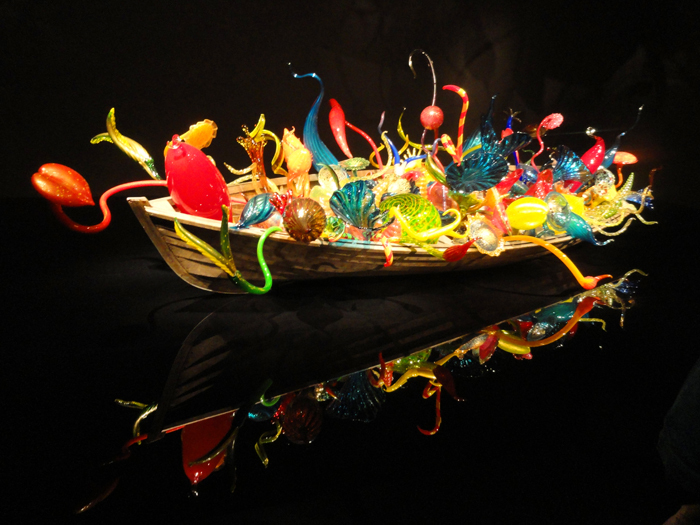 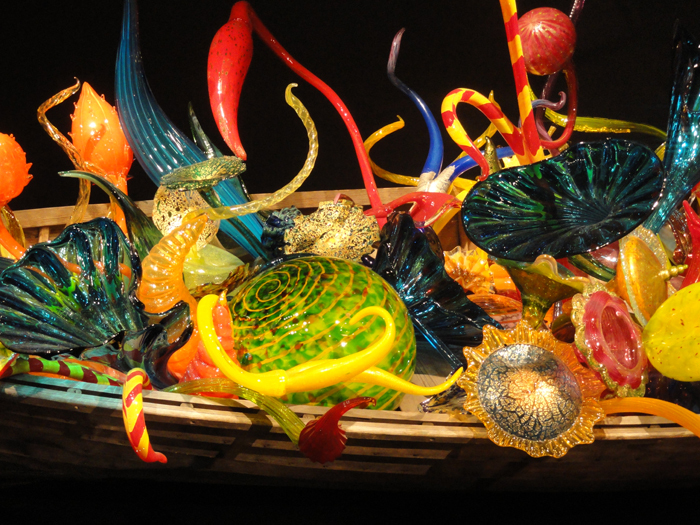 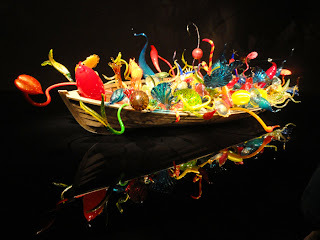 ﻿Other rooms featured works on the floor such as this one below, titled "The Ikebana Boat"
Each ambitious installation consisted of many elements of blown glass creating an environment that was almost magical. 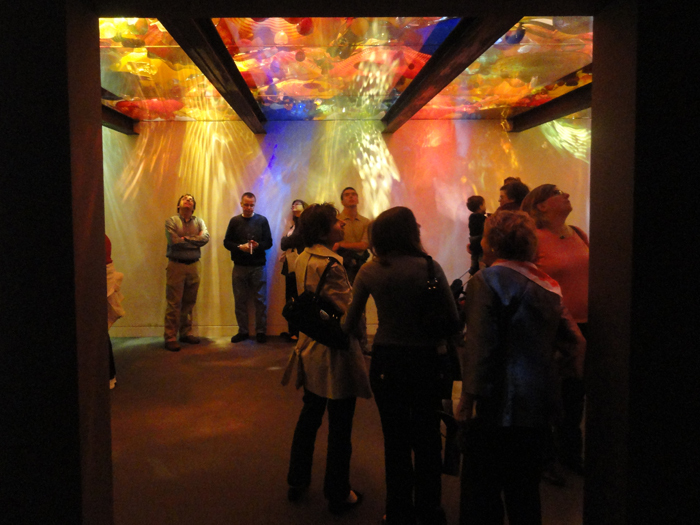 Each theme had its own room and each room was filled with families and children viewing and exclaiming excitedly over the fantasy. 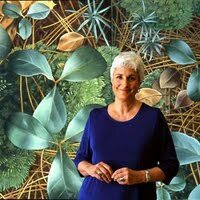 My personal favorite was the room below titled "Persian Ceiling"...a sort of horror vacuii of riotous color created by light filtered through a g;lass ceiling. 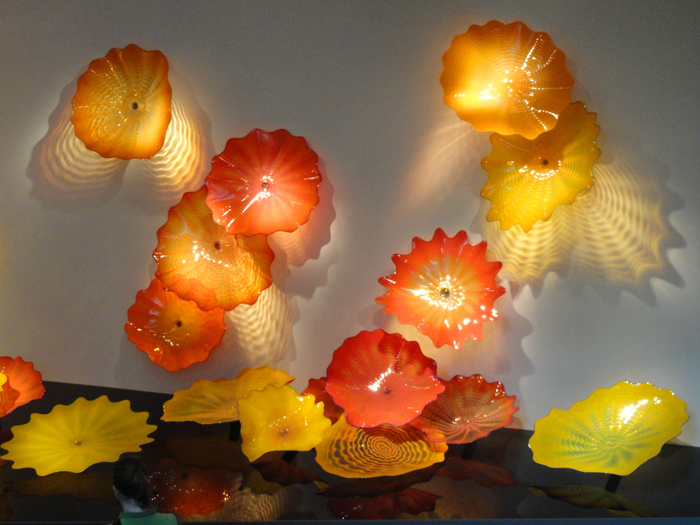 Above the ceiling were piles of blown glass shapes, vessels and vases and the light cast its glow of color from those elements onto the walls. Since many of the colorful glass elements suggested marine creatures, I almost felt like I was inside a fantasy aquarium. It only has a week to go...But if you live in the Boston area, this exhibit is well worth bringing the family! Came back for a little drooling.